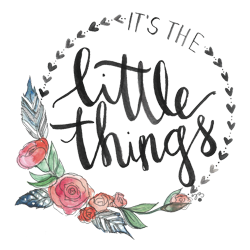 The Adventure Starts Here: It's The Little Things - Spring is Here! It's amazing how much the weather can affect me. There were many days this winter where being stuck inside with a toddler was really starting to get to me. Even though there are still some less than ideal days, I love that the spring-like weather has officially arrived! This past Sunday, we went to my parents' house for dinner. We brought over a ton of stuff to store in their basement and Chris also washed both of our cars in the driveway. Meanwhile, we played in the front yard and driveway with Noah. 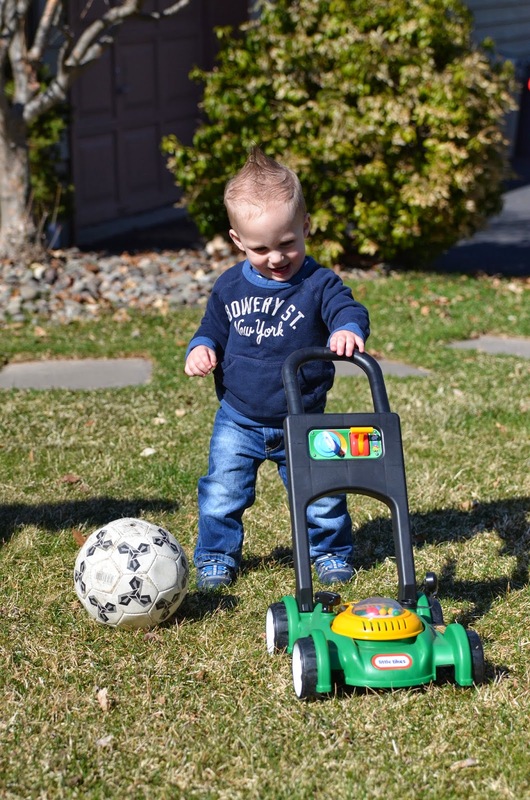 He was a little hesitant on the grass… I guess that means we don't get outside enough! 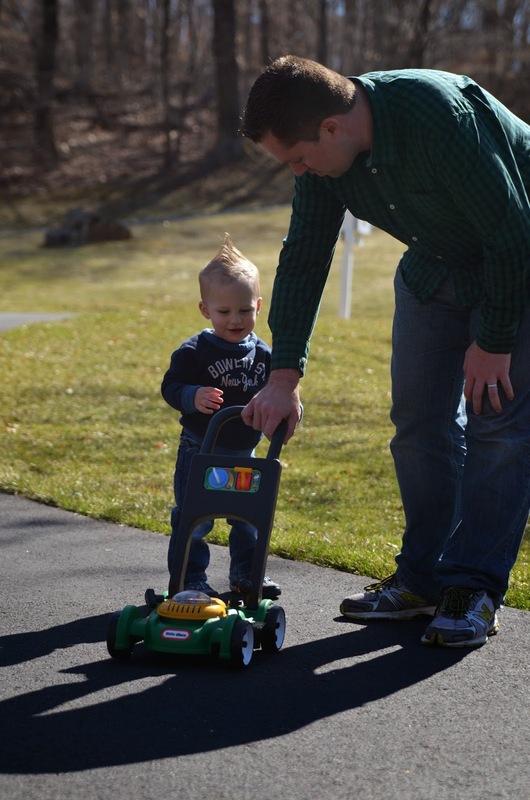 Last year, Noah wasn't at the age to fully enjoy being and playing outside. Now that he's running around, I expect this year to be so much fun! I am so excited to take long walks and spend hours at the park this Spring! I so agree so glad spring weather is here!!!! I here you on this! I was getting so sick of the indoors! Aria started walking over the winter so spring weather has been lots more fun this year than last year too! Living in FL we don't get stuck inside because of the cold often (or ever...) but we do get stuck if it rains all day like it did yesterday. Not so fun not being able to take Aria outside to run out some energy off, I really don't know how you survive the winter - I don't think I'm creative enough. I'm glad spring is here so people can get outdoors with their kids! Have fun this season. That looks like a fun day! It is definitely more fun when they are mobile!